What Would You Do If You Stopped Postponing Your Life? This is a vent louver. I had to look it up. A c!ient recently sent me an ah-ha about constantly trying to improve herself. Her insight made me think of you. "I had this revelation this morning that I've been spending so much time and energy trying to fix all these things about myself. It dawned on me that I'm actually using self-improvement as an excuse to postpone really living. The analogy that comes to mind is that I have a car with a bunch of little things wrong - hail dents, torn carpet, stained seats, broken vent louver - and I'm fixating about fixing them, rather than just packing up the car and taking a road trip. I finally realized that I don't really need fixing any more than I need to fix a broken plastic vent louver. I can just pack up and go for a ride instead. I want to stop using these excuses that are preventing me from taking the necessary risks to get out and enjoy life." As a human, you will always have scratches and dents. They are part of what makes you wonderful. So, when you stop hiding behind your scratches and dents, what do YOU want to do? P.S. 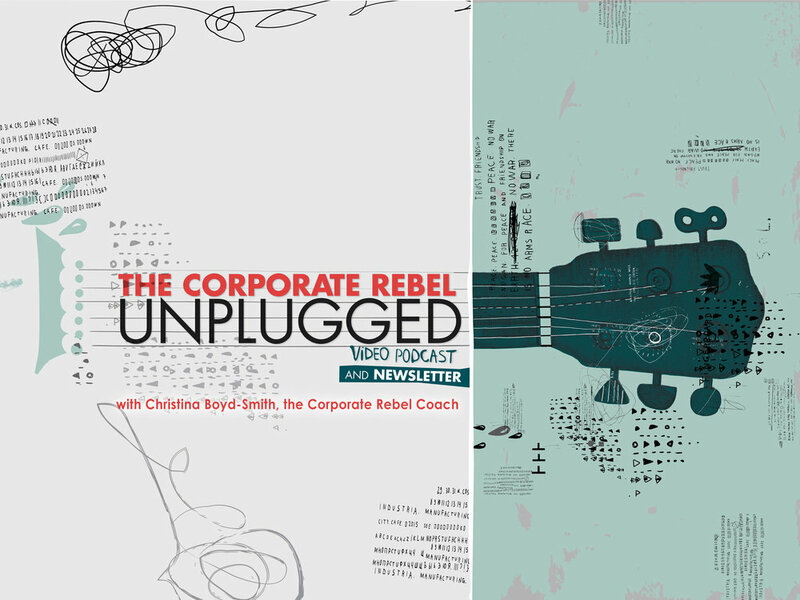 Invite some of your colleagues to road trip with you by joining the Corporate Rebel Video Podcast and Newsletter. They can sign up here.